Size of the Industry The country is the second largest silk manufacturer contributing to 18% of the total raw silk production. 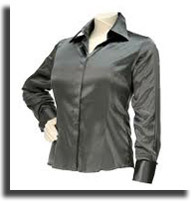 Silk - the queen of all fabrics is historically one of India's most important industries. India produces a variety of silks called Mulberry, Tasar, Muga and Eri, based on the feeding habit of the cocoons. The sericulture industry today in India employs over 700,000 farm families and is mostly concentrated in Karnataka, Tamilnadu and Andhra Pradesh and to some extent Assam and West Bengal. Karnataka accounts for more than 70% of the country's total silk production. India Silk Industry is second largest producer of silk, contributing to about 18% to the world production. What is however, more noteworthy is the fact that India's requirement of raw silk is much higher than its current production at present. So there is considerable scope for stepping up production of raw silk in the country, overcome the persistent conflict of interest between exporters of silk products and producers of raw silk. Silk industry occupies a unique position in India. Today Indian Sub Continent is the second largest silk manufacturer contributing to 18% of the total raw silk production. Sericulture is an important cottage industry in India. This is a labor intensive industry operating on around 54,000 villages all over the country. An assortment of silk varieties such as Mulberry, Tasar, Eri, Muga etc are grown. The industry is generous enough providing job opportunities, and livelihood for more than 6 million people in the rural areas. The Indian Silk industry has shown significant growth both domestically and internationally fuelled by new innovations in the field. The ability of the industry to grow is combined with huge innovation opportunities coupled with the skills of the craftsman. The India silk industry is an integral part of the Indian Textile Industry and is among the oldest industries in India. The silk industry in India engages around 60 lakh workers and it involves small and marginal farmers. 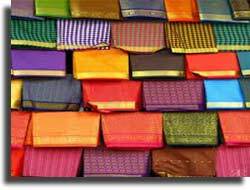 India is the second largest producer of silk, taking care of about 18 percent of world production. But what is so remarkable is the fact that the requirement of raw silk in India is much higher than the current production. So there is considerable scope for increased production of raw silk in the country a way out of the conflict of interests between exporters and producers of silk raw silk. Today the Indian silk industry is already a major player in the global scenario and growth prospects for the sector appear to be bullish. Measures such as promoting further economic and technological research activities in various aspects of sericulture, standardization and quality control of products from silk are needed. Rationalization of the marketing and stabilization of the prices of silk cocoons and raw silk could expand rapidly than ever. The Ministry of Textiles, Government of India has guided the Central Silk Board for the steps to be taken to revive this sick industry. Indian Government has collaborated with the Japanese Government for technology cooperation for increased cultivation and use of bivoltine seeds. Further, the 10th Plan had envisaged an increased silk production of 21,800 MT, increased exports by 15%, and creation of livelihoods for around 61 lakh people by the next few years. The production output of Indian Silk industry in India is 17,300 tons of silk and the country produces 4 types of silk viz., Mulburry, Muga, Tassore, and Eri. The crux of India silk industry lies with the metropolitan states of the country like Karnataka, Andhra Pradesh, Tamil Nadu, Jharkhand, Chhattisgarh, Odisha, Jammu & Kashmir and West Bengal. The "Sericulture" or rearing of silkworm revolves around these Indian states where the farming of silk is concentrated in these states only. Sericulture usually involves rearing of food plants - the mulburry plants, rearing of the silk insect, and finally post-cocoon processes such as twisting, dyeing, weaving, printing, and finishing. The Silk Industry in India is generous enough providing job opportunities, and livelihood for more than 6 million people in the rural areas. The Indian SILK industry has shown significant growth both domestically and internationally fuelled by new innovations in the field. The ability of the industry to grow is combined with huge innovation opportunities coupled with the skills of the craftsman. Sericulture is one industry in the nation which is beneficial to the agriculturists. Today 56 lakhs people are dependent on the sericulture industry in the country, 5.6 million people out of which 4.7 million are agriculturists. The rest are reelers, weavers, etc. India is second only to China in silk production. While China produced 69,000 tons of raw silk last year, India was far behind with 16,000 tonnes. Officials say that India needs120,000 tonnes of silk and with better infrastructure, the sericulture industry could improve its productivity by 15 percent, against the current nine percent. Andhra Pradesh's Sericulture Research Institute has developed a virus-resistant transgenic silkworm. This silkworm would help in stabilizing silk yield levels by reducing uncertainties like viral outbreaks and this research has also helped in understanding the traits which induce silkworms to eat only mulberry leaves.